My name is Marian Jones-Brooks and I’m from Woodbridge, Virginia in the United States. Most people don’t know where Woodbridge is, but it’s a nice sized suburban town located about 25 minutes from Washington, D.C. I studied a Bachelor of Arts degree in Journalism at Norfolk State University (NSU), where I was also a scholar student-athlete. NSU is located three hours south of my home, so it was often easy to see my family. 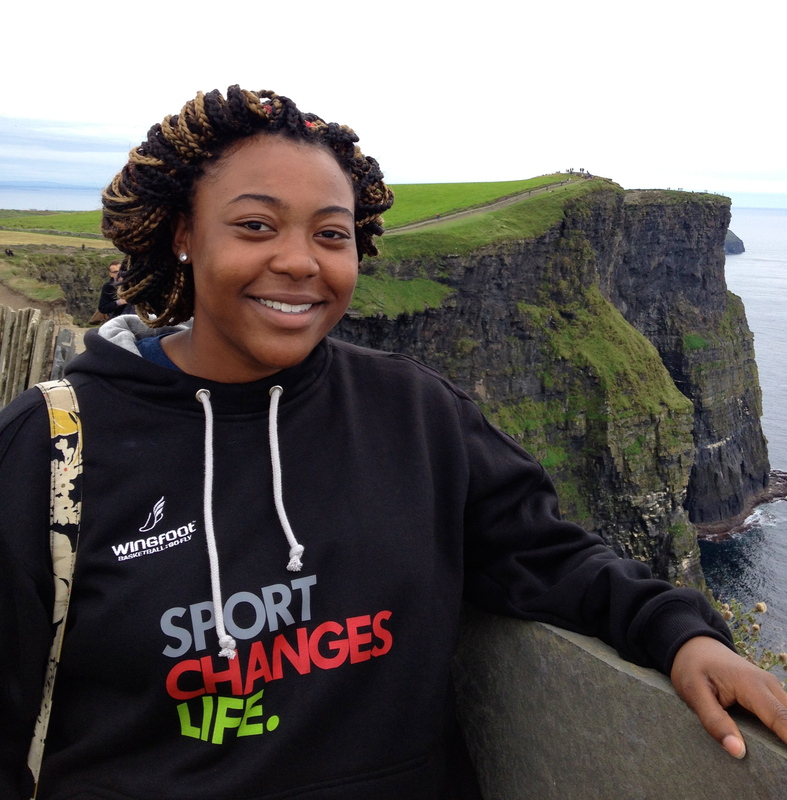 Thanks to the Sport Changes Life programme, I was afforded the opportunity to study abroad at UL. There are two things that I thought I would never do, study abroad and study business. I’m currently studying a MSc in International Management and Global Business and the atmosphere at UL has been the perfect fit for me. Most of my experiences have been due to fulfilling my contract with Sport Changes Life which allows me to also coach a 12U girls basketball team, help out with UL’s Fresher’s team and play basketball for the Premier League team. Joining the International Society has also filled the void for being involved in campus life. I go to the farmers market every Tuesday and similar to the fresh food I find there, Ireland and UL have provided a fresh outlook for me. Everyday I look forward to developing as a young adult, experiencing other cultures and learning all that I can along the way. Please feel free to contact me with any queries regarding the student experience here at UL . My email is 13089051@studentmail.ul.ie. I look forward to hearing from you.